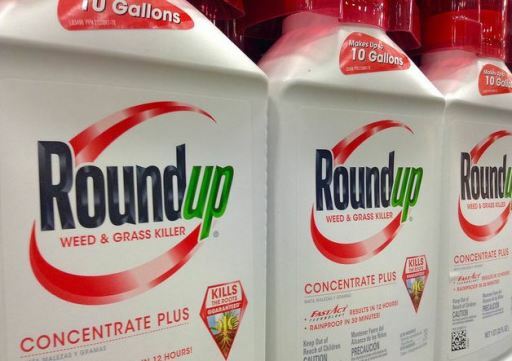 SAN FRANCISCO (CN) – A lawyer for a Bay Area man dying of cancer told a jury Monday that agrochemical giant Monsanto has known for 40 years its popular Roundup weed killer is carcinogenic, but didn’t warn users and “bullied” independent researchers to safeguard its flagship product. In opening statements delivered in San Francisco Superior Court, attorney Brent Wisner told the 16-person jury that Monsanto twice ignored phone messages from his client DeWayne Johnson, asking if Roundup could have caused his topical Non-Hodgkin lymphoma, which eventually covered 80 percent of his body with painful, fluid-filled lesions. Despite wearing a protective full-body suit, boots and goggles, the herbicide had drenched his skin multiple times while spraying it for his job as a pest-control manager for the school district in Benicia, about 40 miles east of San Francisco. A Monsanto executive promised to call Johnson back, but didn’t, said Wisner, who is with Baum Hedlund Aristei Goldman. So Johnson used Roundup for an additional year, “compounding his own cancer that he already had,” he said. According to Wisner, a skin-absorption study had earlier shown that Roundup is a tumor promoter, stimulating their growth. “If it’s a promoter,” Wisner told the jury, “then the lack of disclosure in that time period is particularly problematic” for Johnson, who has about two years to live. Johnson sued Monsanto in January 2016, claiming Roundup caused his cancer and Monsanto knew the herbicide was carcinogenic, but didn’t disclose it for fear of disrupting its $6.6 billion global business. Although the World Health Organization’s International Agency for Research on Cancer (IARC) concluded in 2015 that glyphosate is a “probable” human carcinogenic, other studies, including a 2017 review by the U.S. Environmental Protection Agency, have reached the opposite conclusion. On Monday, Wisner told the jury that Johnson isn’t seeking a ban on Roundup or glyphosate, the herbicide’s active ingredient. But he said Monsanto should have put a cancer warning on the label, giving Johnson and other users a choice about exposing themselves to it. Instead, Johnson said he was told Roundup was safe enough to drink. Despite IARC’s finding, Johnson’s legal team won’t be arguing that glyphosate itself causes cancer. Instead, they claim Roundup’s combination of glyphosate and surfactants, which help liquids spread out, act “synergistically” to create a cancer risk. “You cannot say that Roundup is not a carcinogen…we have not done the necessary testing on the formulation to make that statement,” Monsanto toxicologist Donna Farmer wrote to a foreign Roundup distributor in a 2003 email quoted by Wisner. Wisner argued that Monsanto declined to test Roundup for carcinogenicity because it feared the results would prove a link. But Monsanto attorney George Lombardi with Winston & Strawn countered that global regulators, including the EPA, don’t require the testing of glyphosate formulations like Roundup, only of glyphosate in isolation, accounting for why Monsanto had not tested Roundup. Lombardi said the EPA barred the testing of Roundup because the data wouldn’t specify which chemical was a potential culprit. Nonetheless, the EPA has looked at data from 90 tests of glyphosate-based formulations, and it still concluded that “glyphosate-based products do not cause cancer and glyphosate does not cause cancer,” Lombardi said. “If you took that snippet by itself, you may come to one conclusion,” he said of Farmer’s email. Johnson’s attorneys, however, have internal documents from Monsanto they claim show the company colluded with EPA officials to derail a review of glyphosate by another government agency, which they feared would render an evaluation similar to IARC’s. “Sometimes political decisions can trump scientific decisions,” Wisner said Monday. But Lombardi denied the allegation, pointing out that to win, Johnson’s lawyers must show not only that Roundup causes cancer, but that it also caused their client’s cancer. “They don’t have the science to do it,” he said, because Johnson’s form of Non-Hodgkin lymphoma takes at least six years to develop. Johnson had only used Roundup for two years before he noticed his first symptom, a rash on his knee. “By the time Mr. Johnson’s symptoms became apparent, his cancer had been developing for years,” he said. Wisner disputed Lombardi’s timeline, however, telling the jury the disease can show up in as little as one year.